Sports journalist for Mirror.co.uk, The Runner Sports and Fighters Only. Read an extract from my book, Fight Game: The Untold Story of Women's MMA in Britain. Follow me on Twitter and Facebook. 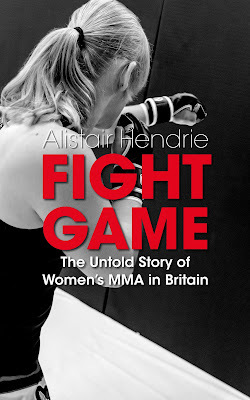 Alistair Hendrie’s Kindle book, Fight Game: The Untold Story of Women’s MMA in Britain, is out now on Amazon. The book uncovers the development of the scene and the personalities on the circuit, offering unprecedented insight from fighters such as Joanne Calderwood, Rosi Sexton, Wendy McKenna, Jade Barker-Morge and many more. In one passage, Cage Warriors matchmaker Ian Dean opened up about how his promotion energised the scene in July 2013 by signing nine British females including LJ Adams and Laura O’Brien-Howarth. “Rosi Sexton called a lot of people’s bluffs,” said Dean. “She contacted a lot of female fighters and asked if they’d like to sign for us. “It was quite funny – I think (president) Graham (Boylan) and Rosi had chatted about it more in-depth on their own but one morning Graham just walked into the office and asked how I’d feel about doing more women’s fights. I just said: “Yeah, OK.” We had the database and it went from there. “I think women were just being overlooked unless a promoter was trying to push someone,” added Dean. “There’s no real incentive sometimes. There’s not a great deal of depth in the divisions and putting on women’s fights isn’t easy – it’s ridiculous. Previous press releases for media use can be found here. When providing media coverage for the book, please include the pre-order link. For more information, media requests, interview requests and review copies, please contact Alistair Hendrie on allyh84@hotmail.com. Alistair Hendrie’s latest Kindle book, Fight Game: The Untold Story of Women’s MMA in Britain, is now available for pre-order on Amazon with a final release date of 25th November. The book charts how British women ripped up perceptions to finally reach the UFC, featuring candid insight from the likes of UFC strawweight Joanne Calderwood and Bellator pair Kate Jackson and Helen Harper. In one passage, Calderwood opens up about how she left a career in nursing to commit to fighting – much to the initial shock of her mother. “I got to a point in my muay Thai career where I couldn’t keep working full-time as a nurse and training on top of that,” said the Scottish striker. “It was so hard. But Guy (Ramsay) gave me a job at the gym so I could fight full-time, and I haven’t looked back since. “Quitting my nursing job meant taking a pay cut, but that didn’t bother me – as long as I made enough money to take my career to the next level that was fine by me. Rosi Sexton was born on 16 July, 1977, and grew up in Crowthorne, Berkshire. Contrary to what it might look like, she wasn’t a sporty child, nor did she dream of competition or fighting another woman in front of thousands of people. Instead she played cello and piano with the Reading Youth Orchestra. As such, her interests, passions and talents ripped up the stereotypical perception of a fighter. She came across restrained and modest during interviews, but throughout her career her competitiveness revealed itself in a constant strive to get better, learn more about herself, and learn more about the sport. After my chats with Sexton, my lasting impression was of someone who’d have been a success whatever career she chose. She discovered mixed martial arts through a Channel 5 documentary, Natural Born Fighters, which starred Huddersfield’s Leigh Remedios and Sunderland’s Ian Freeman. The first Brit to appear in the UFC, Freeman smashed past Frank Mir at London’s UFC 38 show in 2002 and retired in 2013. Sexton practised martial arts from a young age and at 14, she began learning taekwondo and judo around Berkshire. You could picture her grinding away trying to perfect techniques when she stated: “I wasn’t very good at first. I didn’t take to it particularly naturally, but it was something I enjoyed and wanted to get better at. It was when I moved to Manchester for university in 1999 that I realised taekwondo didn’t have much artistry and there was more to fighting than having a taekwondo sparring match. Sexton said in those days “everyone was winging it. If you remember the early UFC events people were still trying to work out how to put it all together. You were capable of finding fighters who were well-versed in more than one discipline, but they still didn’t combine the disciplines as well as today’s fighters. Nowadays you have Georges St-Pierre, Frankie Edgar… These guys do everything well. 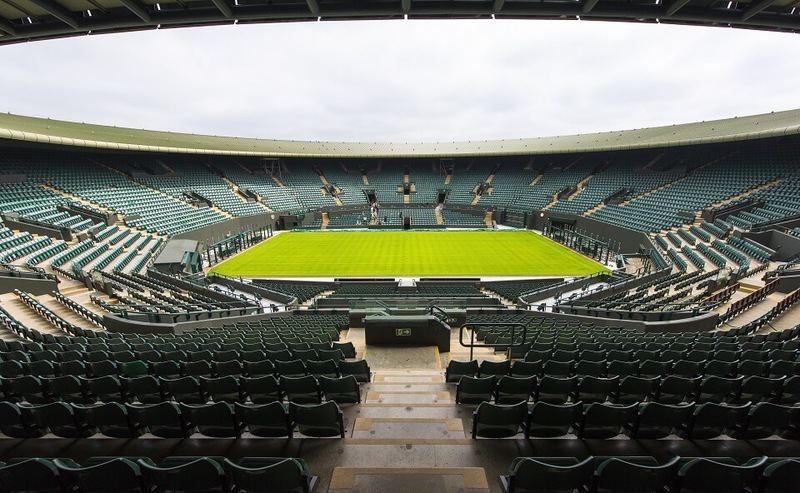 It’s all much better understood and we’ve seen that change and evolution in the sport in the last 15 to 16 years. While Sexton entered MMA due to a passion for learning, Higo began training for altogether different reasons – one evening in 1990 she was attacked in a street in Leeds. There was so much I wanted to speak to Higo about but after a while my emails, calls and Facebook messages fell on deaf ears. Higo has a young family and her own life to lead though, and when we did speak, her enthusiasm for the sport was infectious. She would sign off every one of our conversations by exclaiming: “Cheers love!” in her broad Yorkshire accent. “I think if anyone is out there competing, achieving their goals, then good on them,” said Higo. “If British women keep going in the same direction there’s no reason we should be behind the men. We’re competing as well as them, if not better. Despite her allegiances to her family, nobody could doubt Higo’s commitment to the sport, particularly in 2009 when she travelled to Indiana to win HooknShoot’s GFight Grand Prix. Higo even won the final against Angela Magana, who would progress to fight in the UFC. It was around that time in America that female fighters such as Las Vegas’s Gina Carano and Brazil’s Cristiane “Cyborg” Justino were beginning to gain traction. On reflection, it’s incredible to think a British women’s MMA revolution was taking place inside Manchester’s SBG gym, which sits across the road from Manchester Piccadilly train station. Higo and Sexton would learn from each other and grow together under that very roof but it was Sexton who made her mark on MMA first of all. Fight Game: The Untold Story of Women's MMA in Britain is out now on Kindle. Buy it here.